Daydreams of Quilts: Are You Looking for a Bee? Are you looking for support from other bloggers? Are You Looking for a Bee? Are you looking for support from other bloggers? Are you looking for a quilting Bee? Or maybe you don't want to commit to a bee but you would love a monthly quilt block tutorial series. Angie of Gnome Angel and Alyce of Blossom Heart Quilts have set up "The Bee Hive". You guys! I am so excited about this! My husband was just shaking my head at me last night because I was so excited. 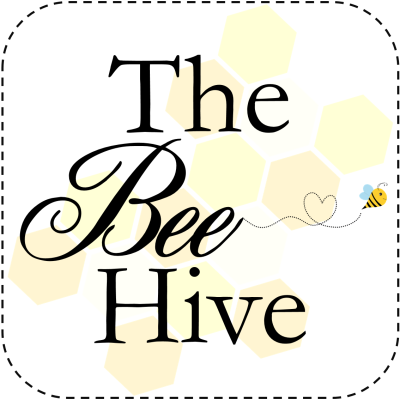 They are running sign-ups for bees, or swarms as they are calling them, through Angie's blog and Alyce is running a monthly tutorial series on her blog. Go to their blogs and check it out! Angie will be posting the bee details later today and Alyce has the tutorial list up already. They are setting up hives internationally. Each hive will have 12 bees and on your month you will be Queen Bee and will get to pick your block and colours. There's some fun extra details and I don't want to screw up the information to please visit them and find out all about it. If they get 12 Canadians there will be a Canadian bee. 12 from the UK will make a UK bee and so on.